Hamilton Accies' New Douglas Park. Premiership players have called on artificial surfaces to be banned in Scotland’s top flight. PFA Scotland will present a petition to the SPFL calling for all pitches in the Premiership to be grass, following consultation with its members. Livingston, Hamilton Accies and Kilmarnock have plastic surfaces in the top tier, with New Douglas Park and Rugby Park coming in the bottom three of all 42 SPFL pitches, as rated by the players. Through the PitchRater App, players were asked whether the pitch was stable when turning direction, whether they felt more or less tired than normal after the game and to rate the surface out of five. Hamilton’s came in bottom at 1.18, with Albion Rovers’ ground Cliftonhill – a grass surface – at 1.34 and Rugby Park at 1.70. Players from Hamilton, Livingston and Killie were not asked to take part in the survey. The top three pitches in the country were all in League 2: Stirling Albion’s Forthbank (4.43), Peterhead’s Balmoor (4.39) and Hampden Park (4.34), where Queen’s Park play their home fixtures. In the Championship, League 1 and League 2, the PFA is calling for a policy to ensure artificial surfaces in their divisions are maintained to the highest possible standard. St Johnstone midfielder Liam Craig, PFA Scotland chairman, said: “Players believe that removing artificial surfaces from the top league and improving them throughout the SPFL Championship, League One and League Two will have a positive impact on our game in Scotland. “The inconsistency of artificial surfaces at the top level of Scottish football is a major factor on how the game is played by players. The ball rolls and bounces differently which effects a players decision making. The Tony Macaroni Arena at Livingston. “Movements such as running, turning and tackling on the pitch also have a negative impact on the body which inevitably effects a players performance. “Players often say it takes longer to recover after playing on an artificial pitch. This can not only effect future performances, but also team selection. If a player takes longer to recover, a manager may not select them for games on these surfaces or for a game after playing on them. 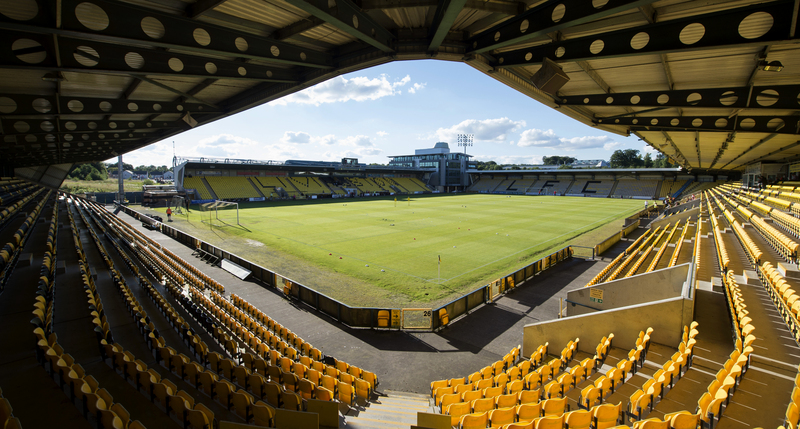 Livingston’s Tony Macaroni Arena was rated at 3.12 out of five and came seventh in the ranking of Premiership grounds. 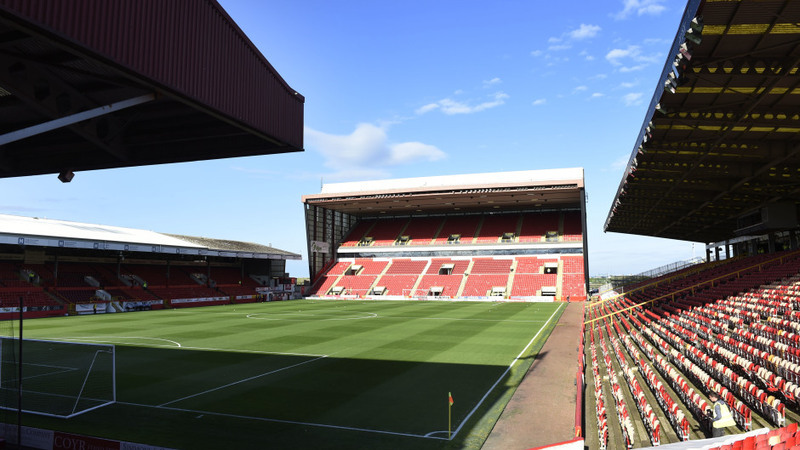 Motherwell’s Fir Park was judged to have the best surface (4.26) in the Premiership, with Pittodrie (3.00) ranked ninth. Dundee United’s home ground at Tannadice was viewed as the best Championship surface, with the Global Energy Stadium (Ross County) and Caledonian Stadium (Caley Thistle) given 3.26 and 2.67 ratings respectively. 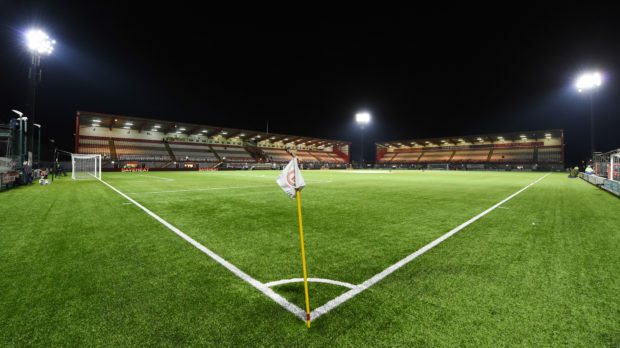 The highest-rated artificial pitch was Alloa Athletic’s Recreation Park, which came 10th out of the 42 surfaces, with Elgin City’s Borough Briggs ranked 38th. PFA Scotland Chief Executive Fraser Wishart said: “This is a strong, powerful message from our members, those that actually play the game. “It is abundantly clear from our conversations with all 42 squads our members feel passionately about Scottish football and care about the image and perception of the game they love. Football is of course an entertainment industry, but our members do not enjoy playing on artificial surfaces in particular. Pittodrie was ranked ninth out of Premiership surfaces. “The SPFL recently agreed television contracts meaning Premiership matches will be seen all over the world; this can only be good for Scottish football which is in a good place now. “To keep improving, and to capitalise on the feel good factor, our members are of the view that having quality pitches to play on is of vital importance. “Our members in the Premiership want to see regulation in place that will ensure all Premiership pitches are grass which are maintained to the highest standards. The standard of grass pitches in the Premiership has improved, particularly since the Pitch Rater App has been in place, therefore there is no reason why clubs at the highest level cannot have a well-maintained grass pitch.